Did Shadea actively try and make the ugliest character they could? PH is absolutely packed full of spergy shitters. This is not an isolated case. Hell, the only folks in PH that know how to EVE are the Goon alt spais! Somebody get the Horde directors on the phone, Aaarrgg just found someone qualified to run their next major fleet op. Now that has to be a P.H.A.G. pod. 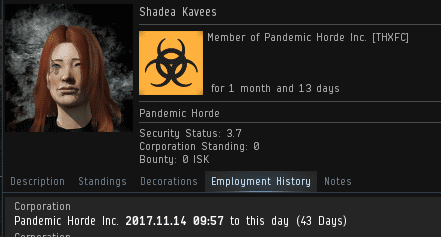 Pandemic Horde anti ganking for lyfe??!? Seems legit. I hear kip wanker is one of their best Highsec Online Moderator and Operators. He PHag's #1 H.O.M.O. fo sho'!!! 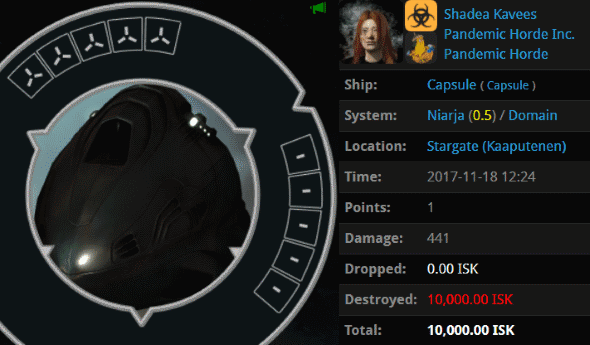 She lost several pods in high sec after this. Apparently, she is a slow learner. Petty. Small people. I really do feel pity for you all.